I'm not sure if anyone's interested in the Commodore 64 around here but I had one of those inexplicable yet irresistible urges to play one recently, so I thought I'd share my adventure. 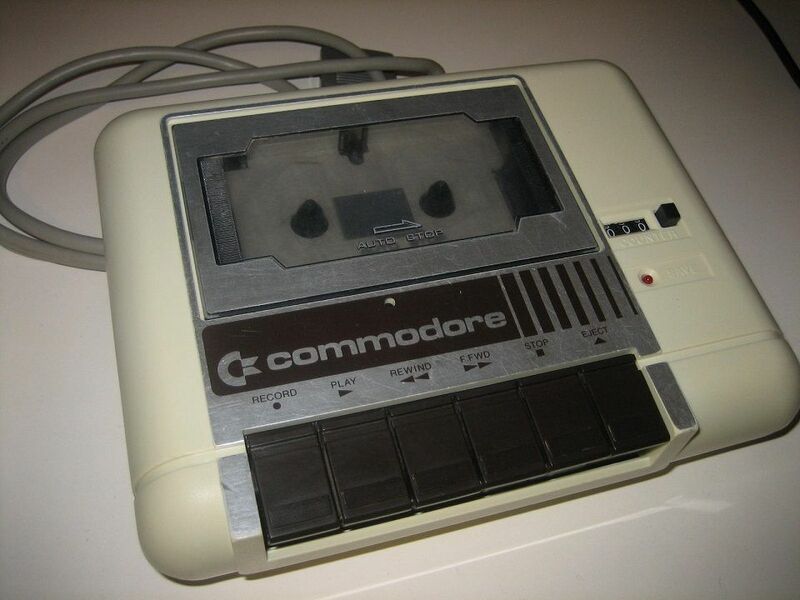 I didn’t have a C64 as a kid but a friend did, and I have fond memories of playing Commando, Bruce Lee, etc, all painstakingly loaded from tape. That must have been ’87 or so, when I was 10 years old. 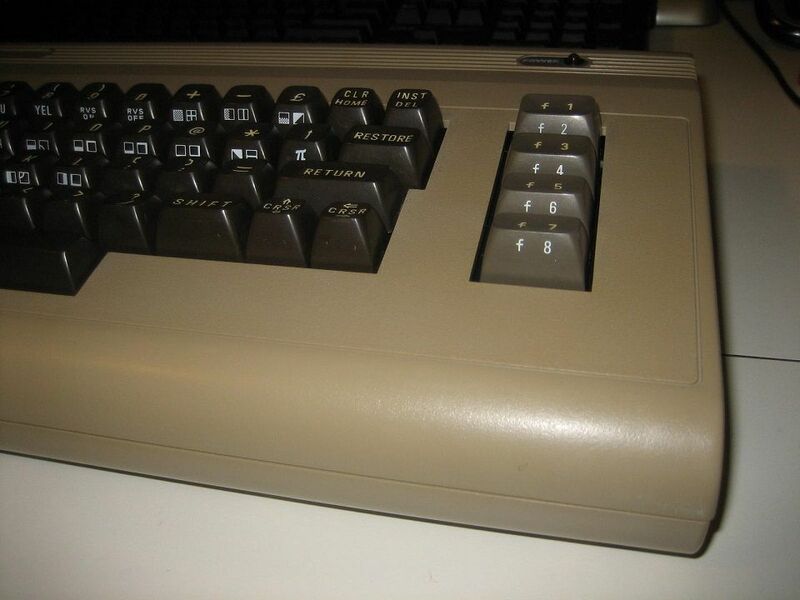 The C64 had been around for a while even then – being released in ’82 – but they were still popular into the early 90’s, and were eventually discontinued in ’94. It’s an amazing story really; truly a classic 8 bit PC. Circa ’98 I went through an old-console-collecting phase – NES, Atari, etc. They were being sold cheaply in local ‘opportunity shops’ and I was a University student with lots of time and very little money. 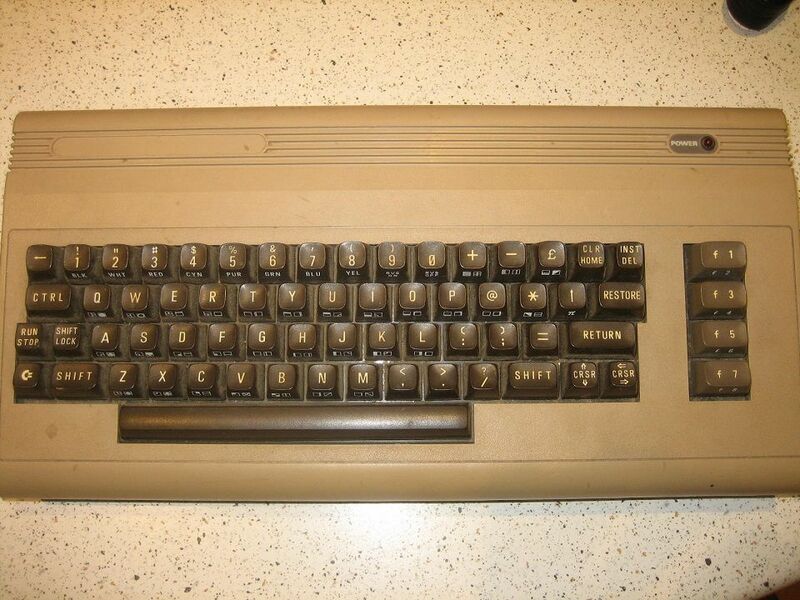 I lost the NES along the way somewhere sadly but I still had the Atari (2600 Jnr) and C64 sitting in a box in the shed, so I decided to pull the C64 out and see if it still worked. 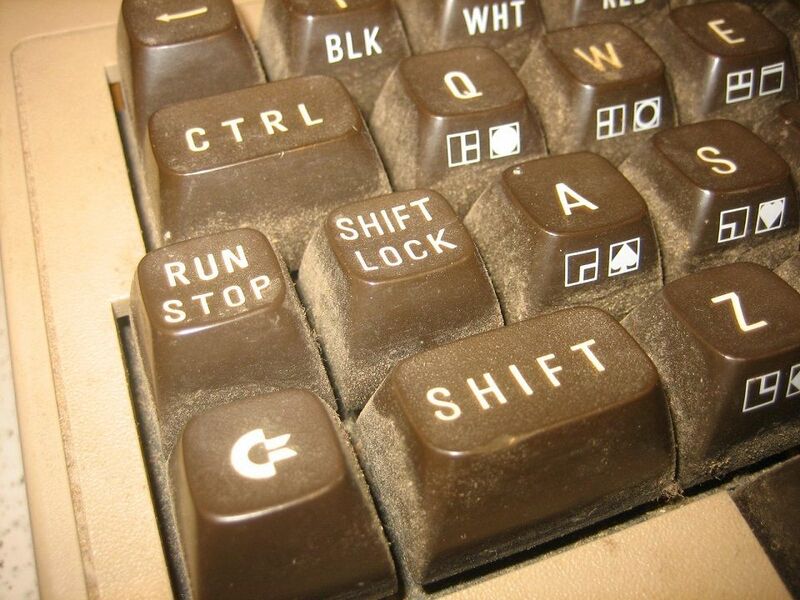 It was dirty when I bought it - full of dust and carpet fibre - and the intervening years haven’t helped that any. 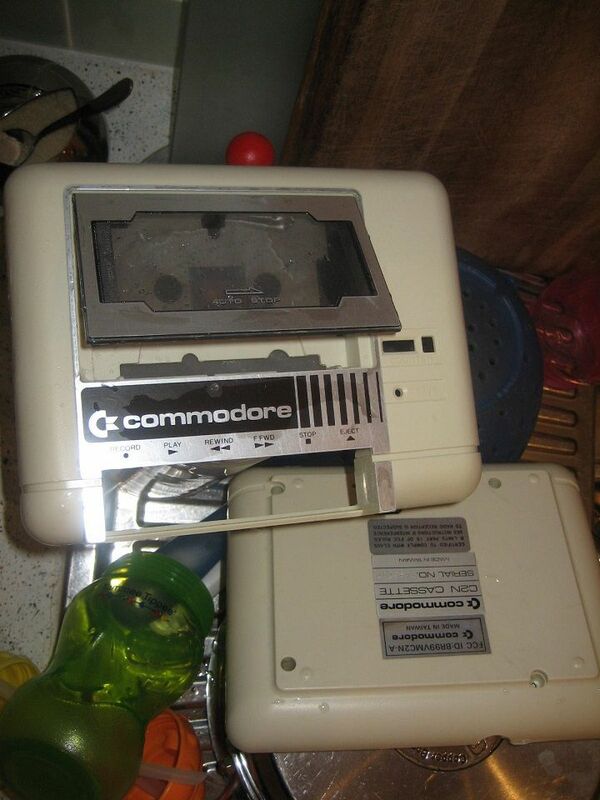 I remember, shortly after buying it, that I set it up and got it to boot, and then – with no games to play on it – I just boxed it up, dust and all. It hasn’t seen the light of day in 15 years. It’s one of the original breadbin style machines, manufactured in ’85. 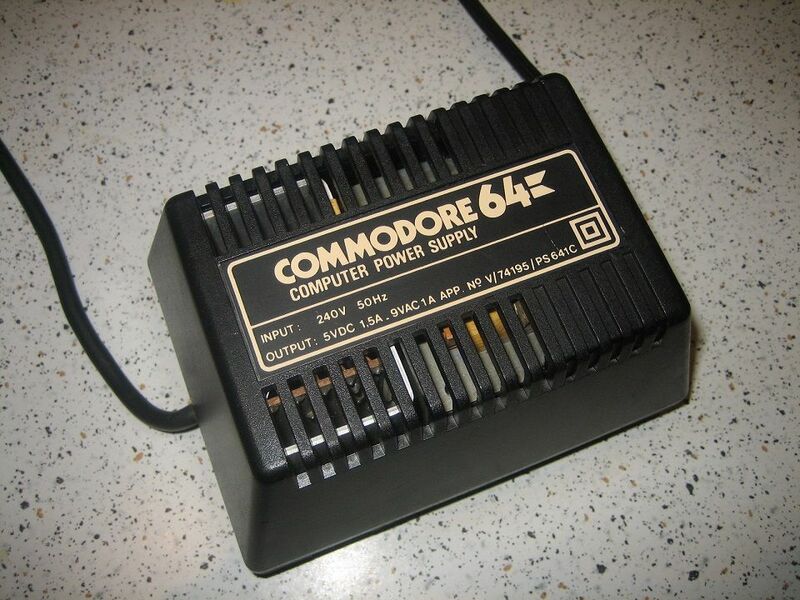 I bought it with a tape drive and a PSU. The PSU is one of the original black box things and are not to be trusted apparently, but this one’s still producing the correct voltages (5 and 9v) according to my trusty multi meter. So it works, but I won’t be leaving it plugged in unattended for long periods of time all the same. There’s a serial number roughly engraved on the bottom of the computer which makes me think it started life as a school or library machine, and that would usually suggest that it had a pretty hard life. But apart from being filthy, it doesn’t have any physical damage. 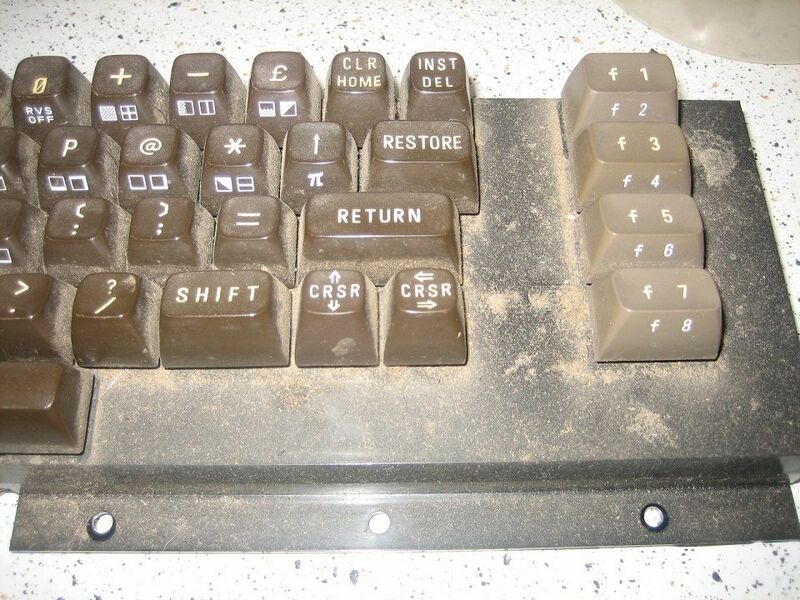 Even the keyboard – which is prone to unresponsive keys after years of use – turned out to be very sprightly. Brown? Yes! No yellowing here. It’s missing the case badge from the top left hand corner – I think it had one when I bought it but it had started to lift up, and I vaguely remember yanking it off and tossing it. Like I said, this bad boy was DIRTY. 3 screws later and it’s open. 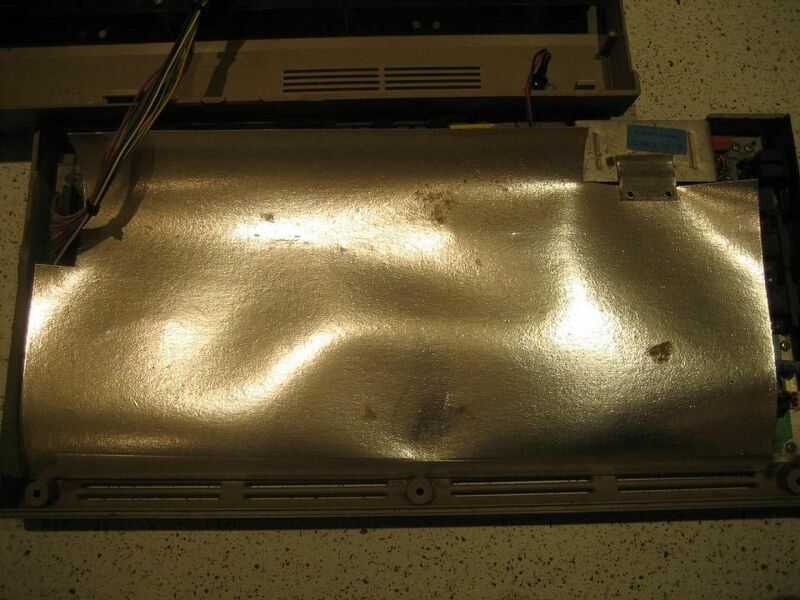 The motherboard was sandwiched between a folded sheet of cardboard, one side of which has a metallic silver coating. 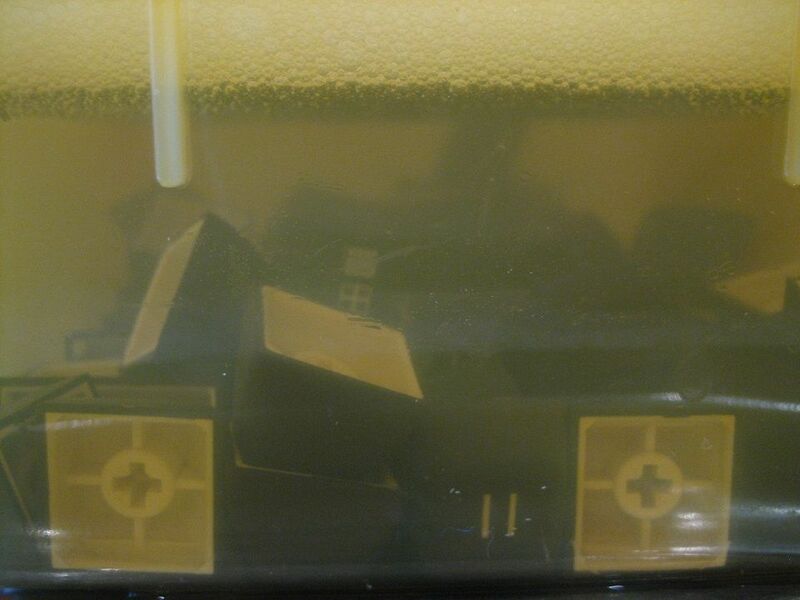 This is supposed to act as an RF shield apparently; probably added at the last minute to meet some regulation or other. 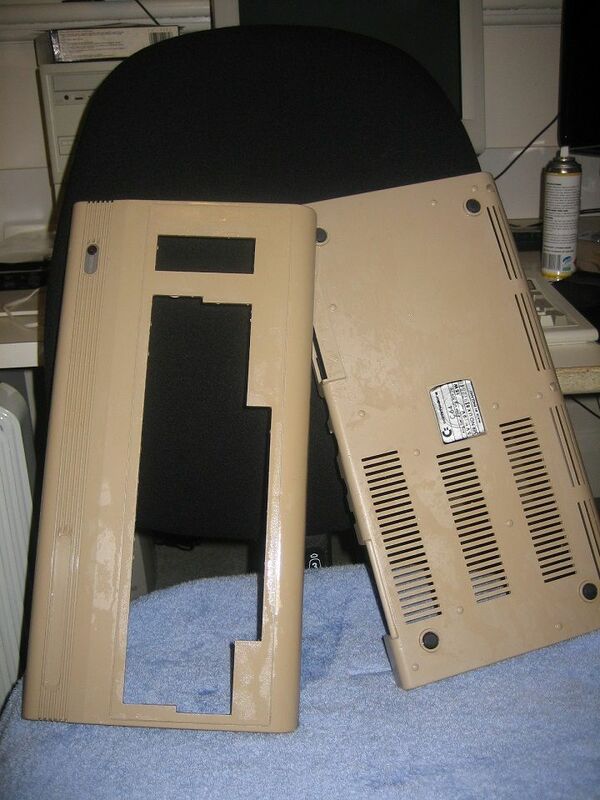 Whether it works as intended or not, an unwanted side effect is that it blocks all airflow and locks in heat, which is the last thing these old chips need. It’s recommended that this be removed, so I did just that. 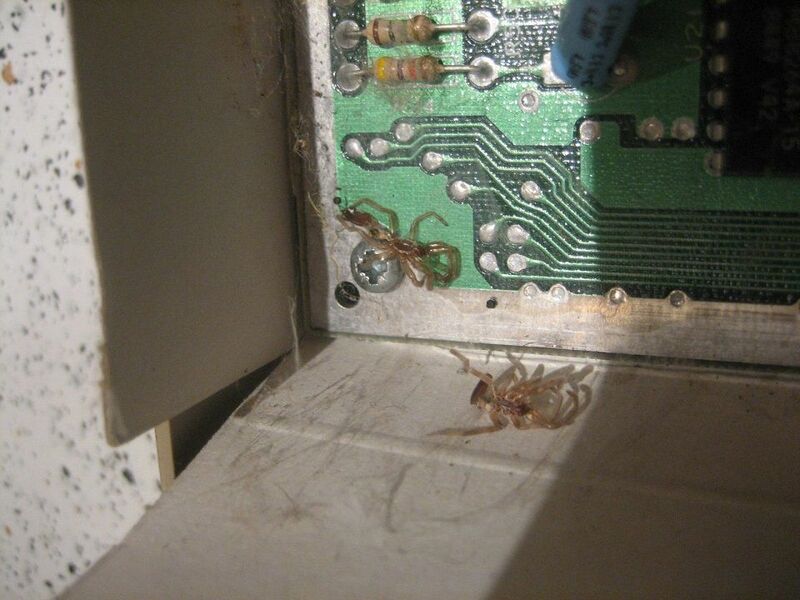 Spiders! Long gone thankfully - these look to be White Tailed spiders, my least favourite spider. Did I mention that this thing was dirty? Pulling the keycaps off can be tricky because the stems will break if sideways pressure is applied, and there’s a spring under each key which can go flying if you’re not careful. I saw somewhere online that an IC puller worked well and so it did; a short sharp pull popped the each key off easily, and the spring stayed where it was. The only thing I’d do differently is put some electrical tape around the metal parts of the puller, just above the hooks. 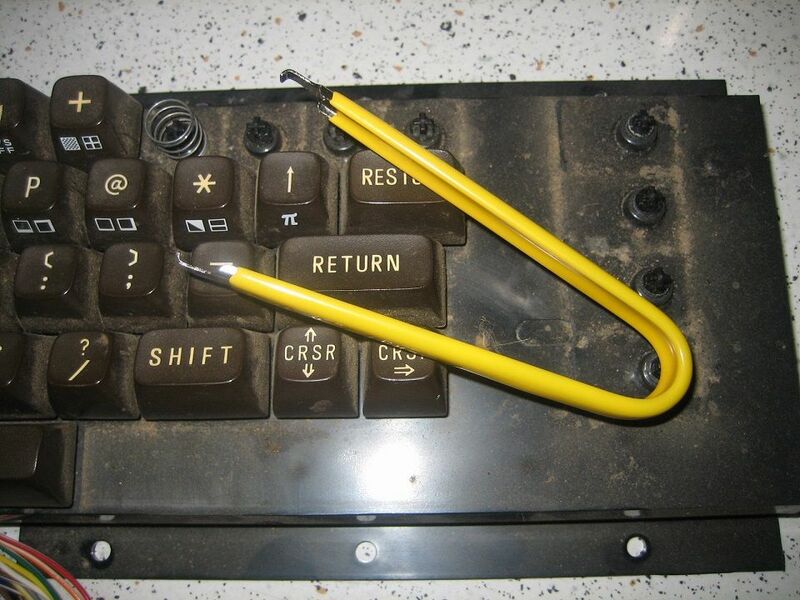 This would have avoided some very minor scratches on the back of some of the keys. 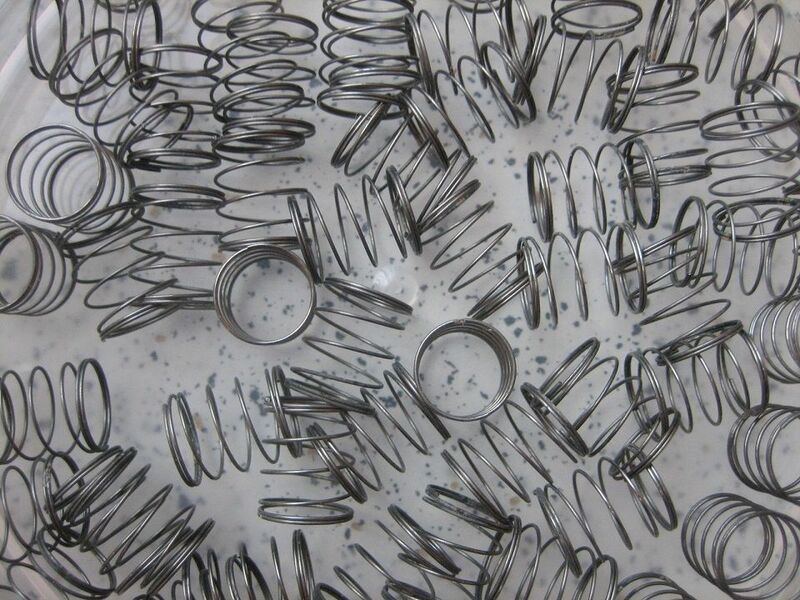 These are the springs which sit under each key; all exactly the same size except for the spacebar, which had a slightly longer one. This machine is simplicity itself, which of course is one of its secrets to success. It’s a no-nonsense design which was hardwearing, cheap to manufacture, easy to service, functional, and – dare I say it – it looks good too. 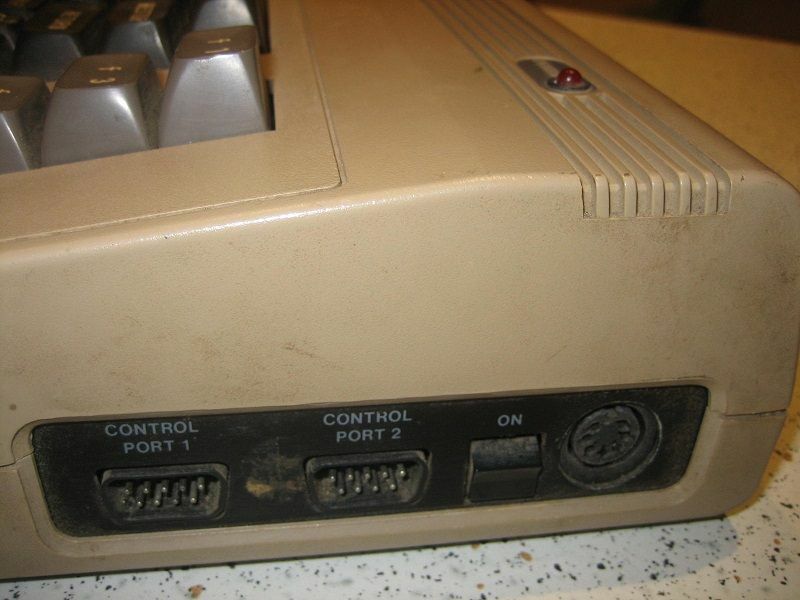 Most action games on the C64 require a joystick. 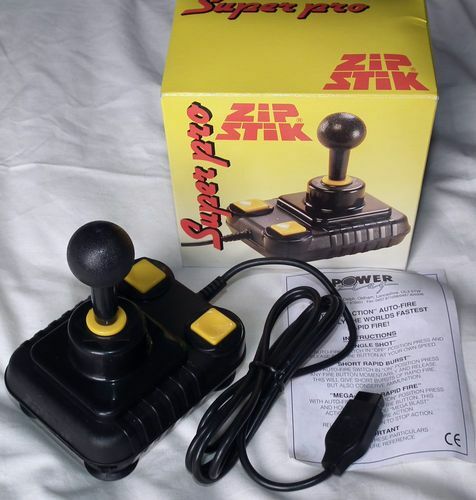 There was a decent range to choose from back in the day, made broader still because the C64’s joystick ports are compatible with Atari consoles. Keeping in mind that I have a 2600 in the shed that I might want to use one day, I picked up an original Atari CX40. It’s in decent condition, apart from some teeth marks on the end of the stick! Game rage can manifest itself in strange ways. The CX40 is a bit small for grown-up man hands however, so I’ve also ordered a new “Zip Stik” (I spoil me), and the kids can use the CX40. I bought some games on tape from eBay for a few bucks each (still surprisingly cheap and easy to find), and I was all set. The load times aren’t as long as I remember - waiting 10 minutes for a computer game to load was torture for a 10 year old. But now I welcome the excuse to sit and stare blankly at the screen, resting my world weary old bones while the datasette works its magic. 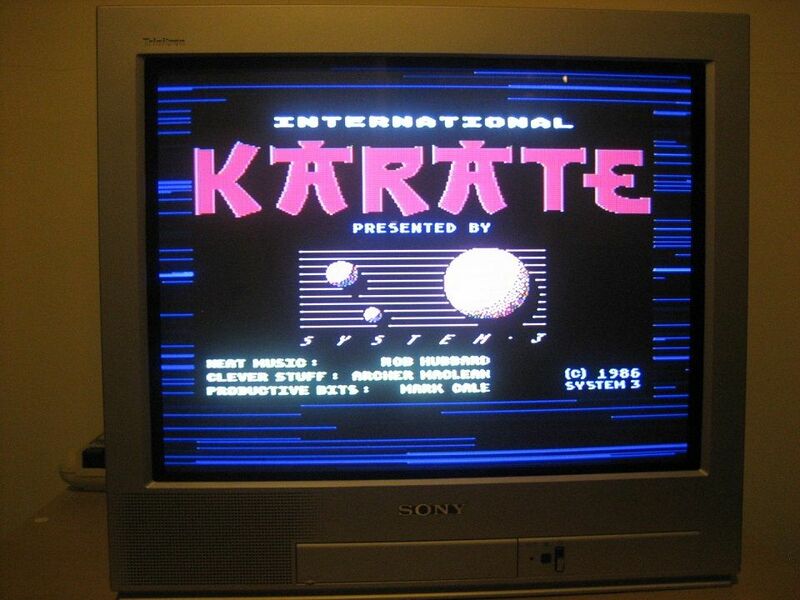 With a decent TV combined with the C64’s AV output, the image quality is great - beautiful colours and animation. The thing that struck me about this machine though is the sound, which is amazing. There are games - like California Games and Neuromancer for example - that I’ve wanted to play on PC, but I just can’t stand the racket from the PC speaker these days. 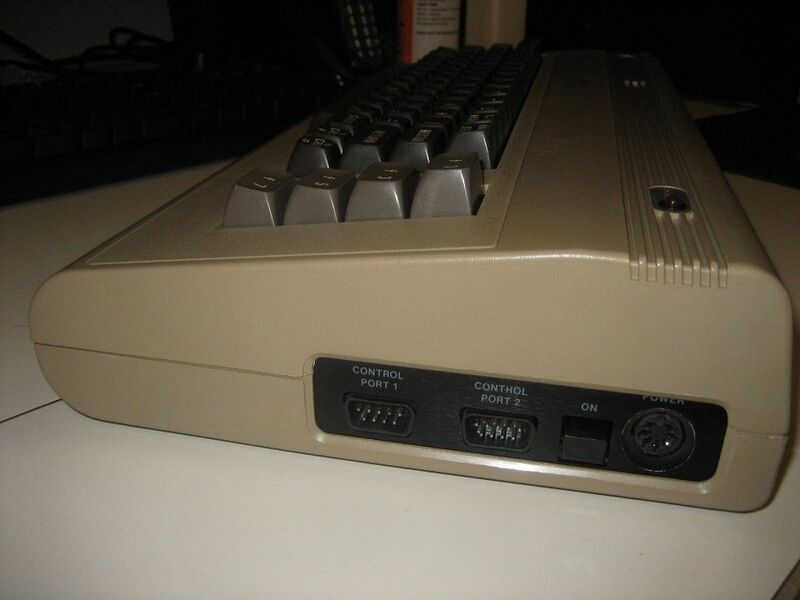 The C64 versions, however, will still be playable thanks to the C64’s excellent SID chip, the limits of which are still being explored today by a dedicated demo scene. 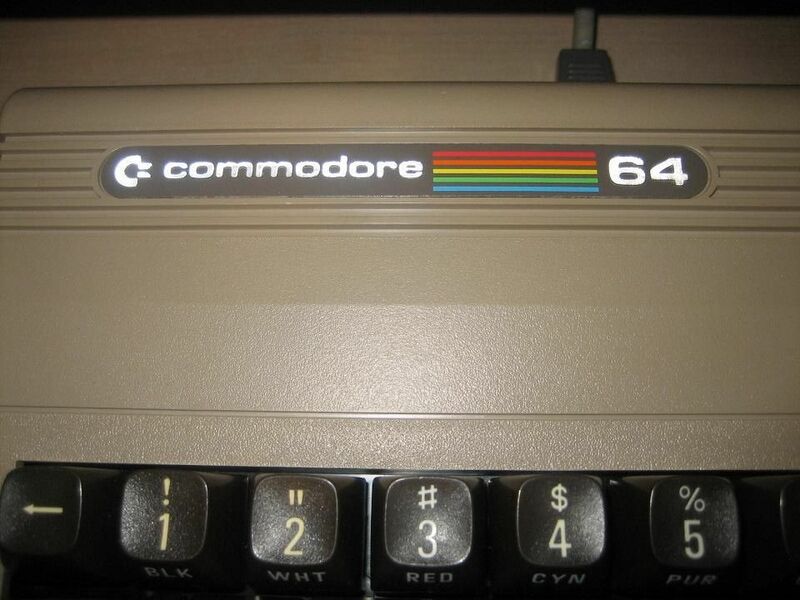 And there’s still a huge, active community for the C64 itself; creating games, coming up with mods, etc. For example there are a couple of SD based devices available which emulate the original floppy drive (which is a computer in its own right), and allow for faster loading of software than tapes or 5.25” floppies, and obviously facilitate the safe backing up magnetic media which is well past its used-by-date. 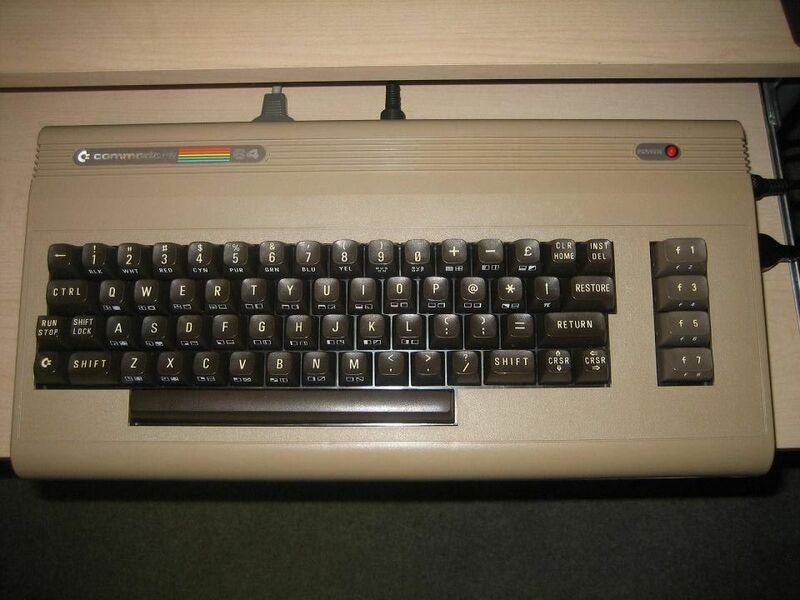 With innovations like that still being developed, the C64 still has a lot of life left in it. So that’s it (for now) - project finished, bee removed from bonnet, etc. I’m thrilled with the results I’ve gotten from what was essentially just a clean-up job. I’ve fallen in love with this thing - it has masses of retro charm, sports a huge catalogue of great games, and is a direct link to the small, uncomplicated world of my childhood. I’m glad I hung onto it for all these years. Last edited by badmojo on 2013-7-31 @ 10:16, edited 1 time in total. The Way of the Exploding Fist was one of my favorites. I personally found the blue text way more offensive than the pics. Anonymous Coward wrote: I personally found the blue text way more offensive than the pics. What can I say, I'm a bad mofo. 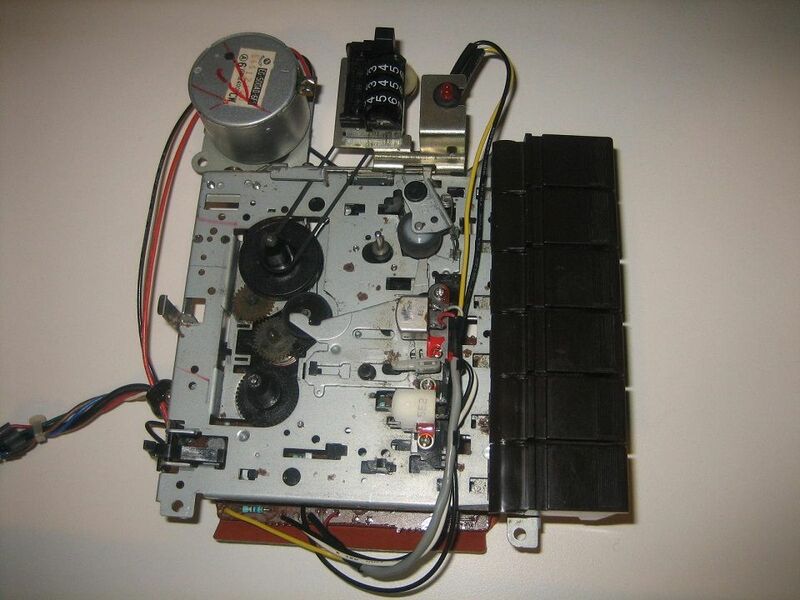 Btw what did you use to lubricate the Tape player gears? Excellent work! 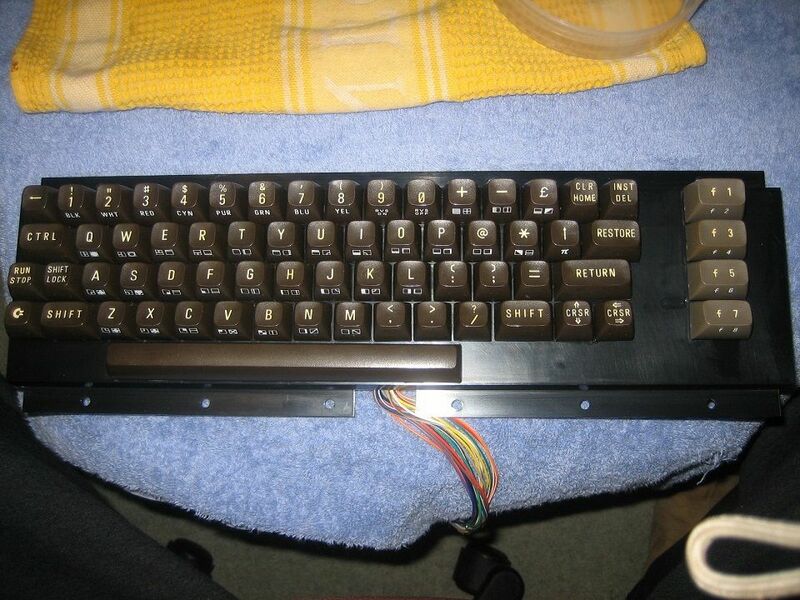 I'm so amazed at how the keyboard turned out I'm really tempted to do it to my own C64. I was afraid of breaking the key stems trying to pop the keys off so I merely dusted it off. Gotta get me one of those DIP extractor tools! 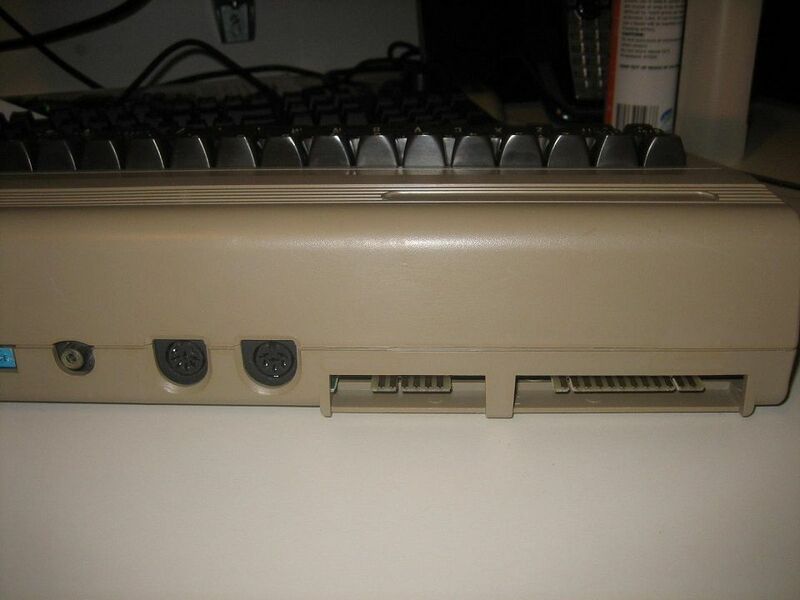 I also have a Fortronics datasette and I had to replace the drive belt to get the mechanism working properly, and even after alignment it won't load a single game so I gave up on it. MaxWar wrote: Btw what did you use to lubricate the Tape player gears? 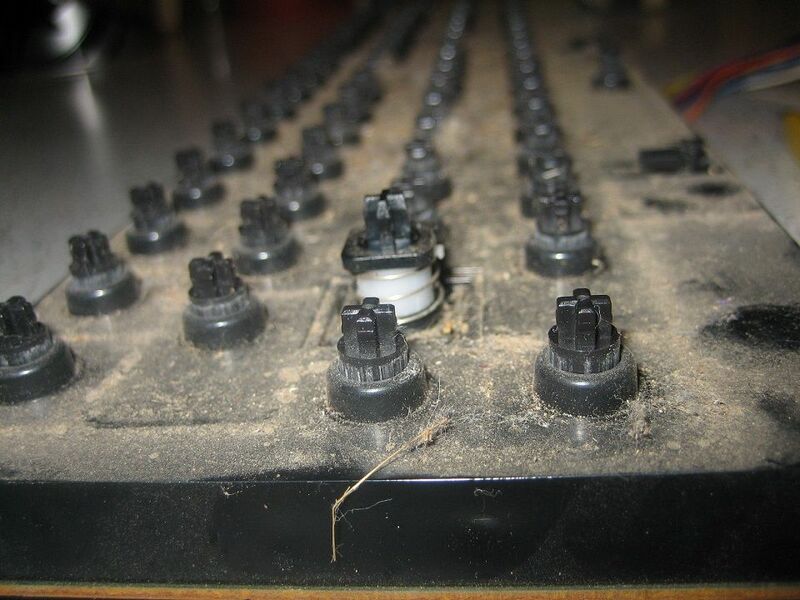 Nothing, they were already quite well lubed already, so I just removed the dust / carpet fluff and left them. It's all quite smooth, no squeaking. 133MHz wrote: Gotta get me one of those DIP extractor tools! Yes the DIP tool was only a few bucks and made it a simple job, only took a few mins to get them all off. 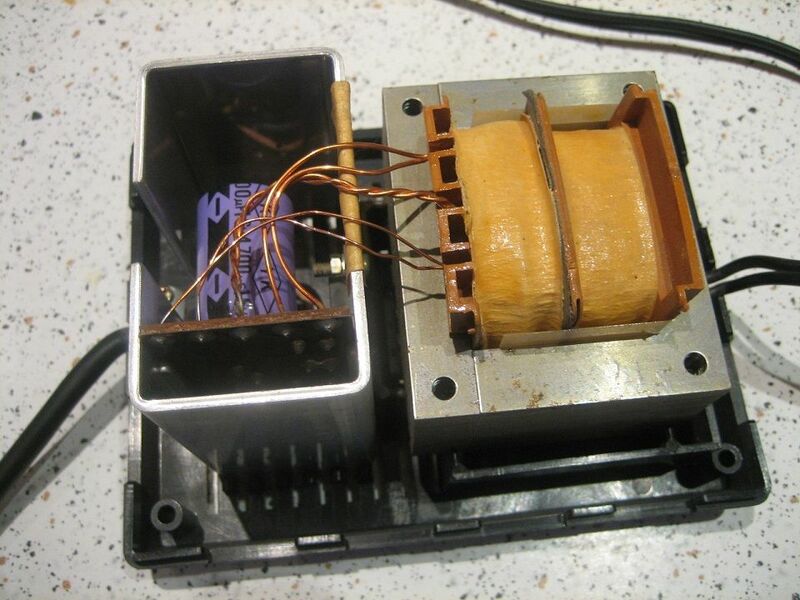 The belts in the tape deck do look very fragile, and I can't believe mine are still going with such old rubber. But auto-stop's working which I read is an indication that it's still doing it's job well. I bought some more belts for a backup anyway. Shame you couldn't get yours to work, how do you load games then? 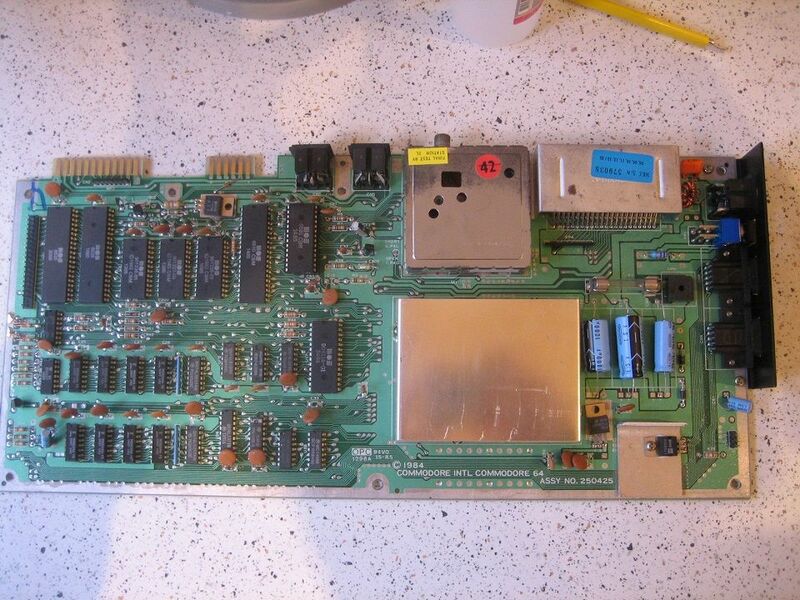 I've looked at 64HDD, SD2IEC, and even the expensive 1541 Ultimate II as options. They all look like fun but with a working tape deck and a couple of floppy drives in the shed (currently not working but should be fixable), I have enough games to keep me busy for now. Congratulations, nice job. I hope that you'll enjoy the computer for many years to come. 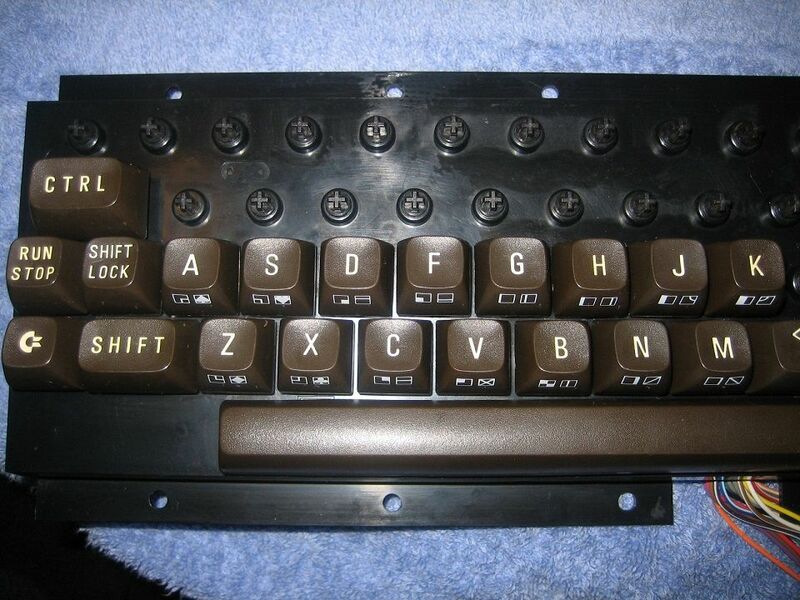 I had two of those and once and learned a LOT of programming from them. With the sprite graphics you and sound you could create arcade games fairly easily. I have begin to regret throwing them out and have often contemplated trying to get one again. You should try to get a disk drive for it! badmofo wrote: Shame you couldn't get yours to work, how do you load games then? I've looked at 64HDD, SD2IEC, and even the expensive 1541 Ultimate II as options. 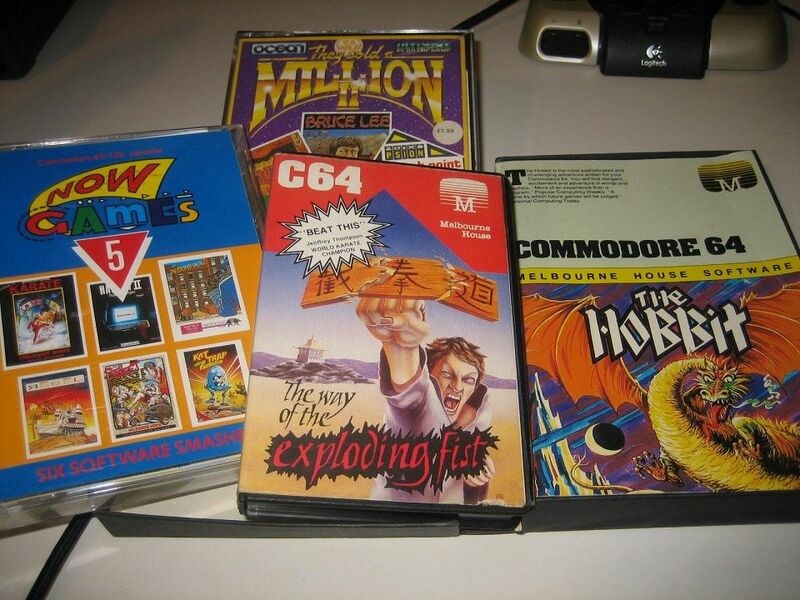 They all look like fun but with a working tape deck and a couple of floppy drives in the shed (currently not working but should be fixable), I have enough games to keep me busy for now. I have a working 1541 drive and I built myself a XE1541 cable. Later a good friend of mine gifted me an EasyFlash cartridge, which has been the best and most convenient by far. 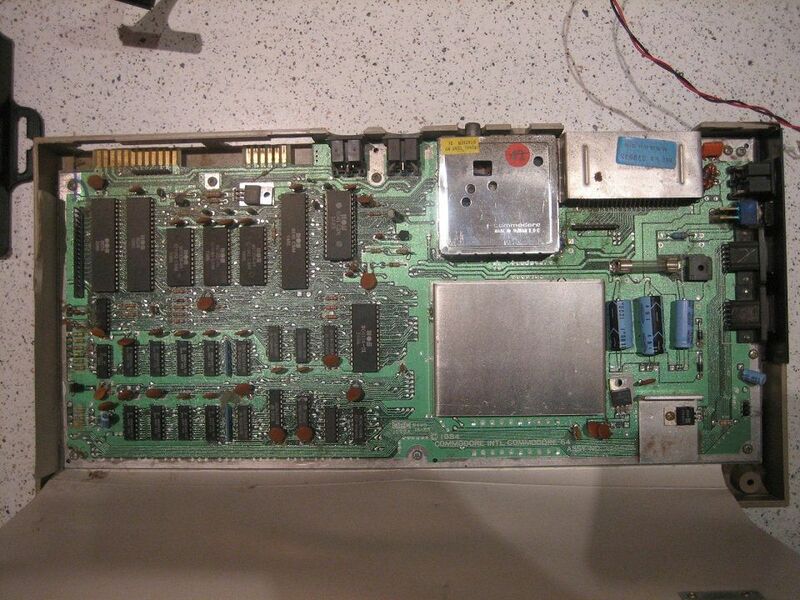 I'm thinking about building a SD2IEC interface to make it easier to reprogram the EasyFlash. That joystick looks cool! 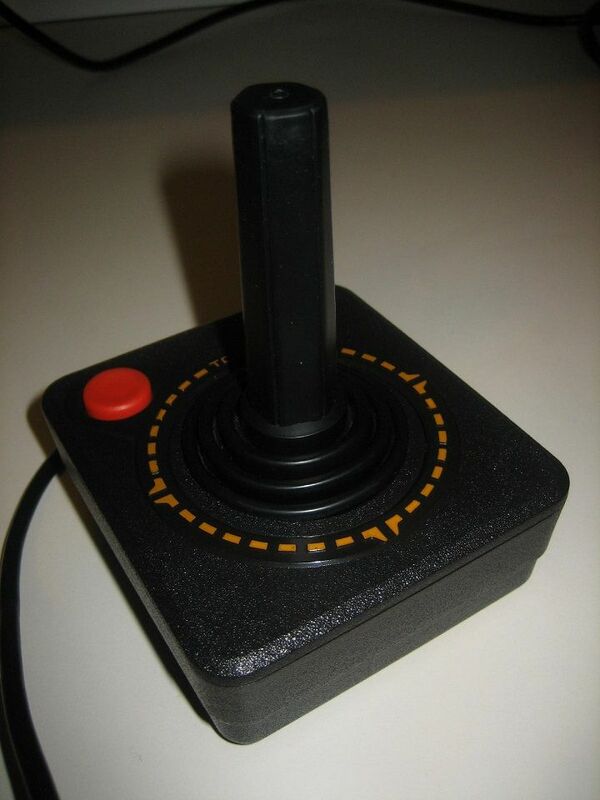 I'm still looking for a decent controller, I might just modify an NES controller and call it a day! 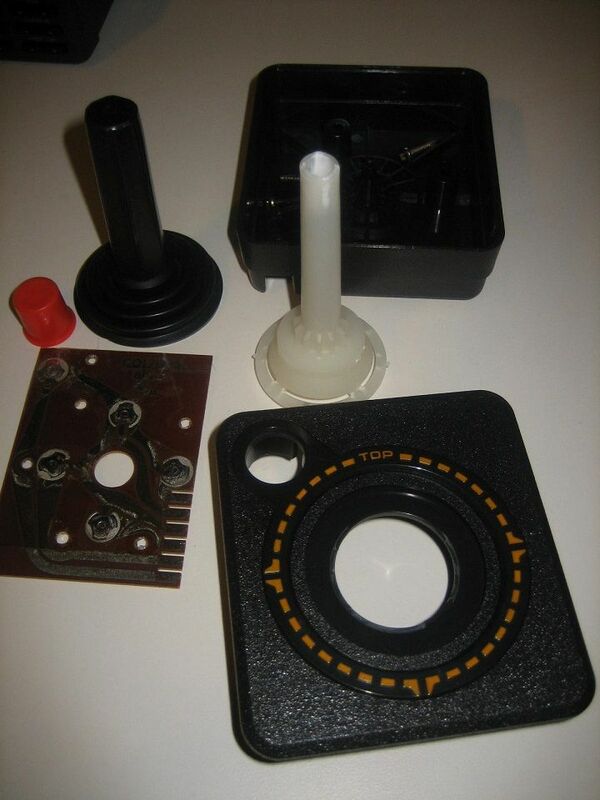 133MHz wrote: That joystick looks cool! I'm still looking for a decent controller, I might just modify an NES controller and call it a day! 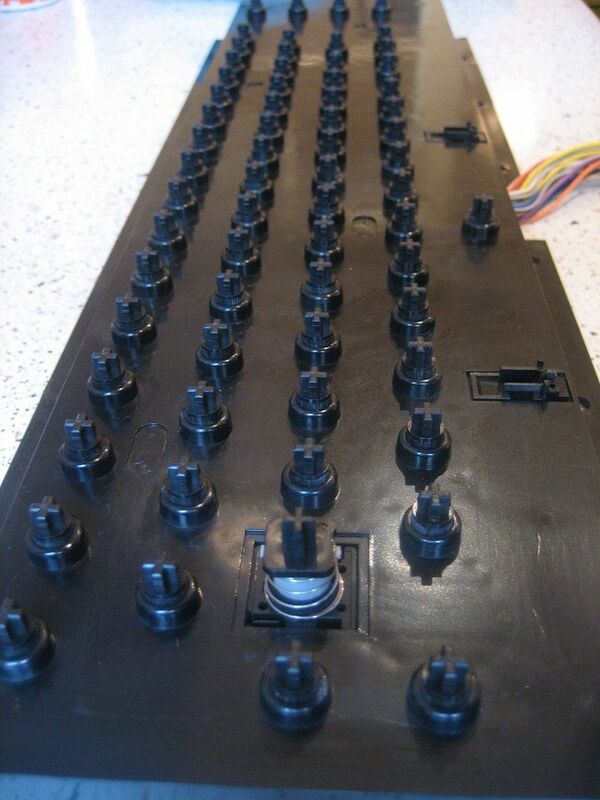 I believe certain famiclone joypads could be a better option, when it comes to the joypads. Than modifying a NES controller. But that is just my opinion. It lets you use various pads - sega, NES - safely on the C64 and adds some features. I'd use a saturn pad with that adapter, and play me some paradroid. It's the way to go then? Do you have one? Yeah I was lucky, and actually it did appear dead initially but it turned out to be just a gummed up on/off switch; a little squirt of contact lube sorted it out. 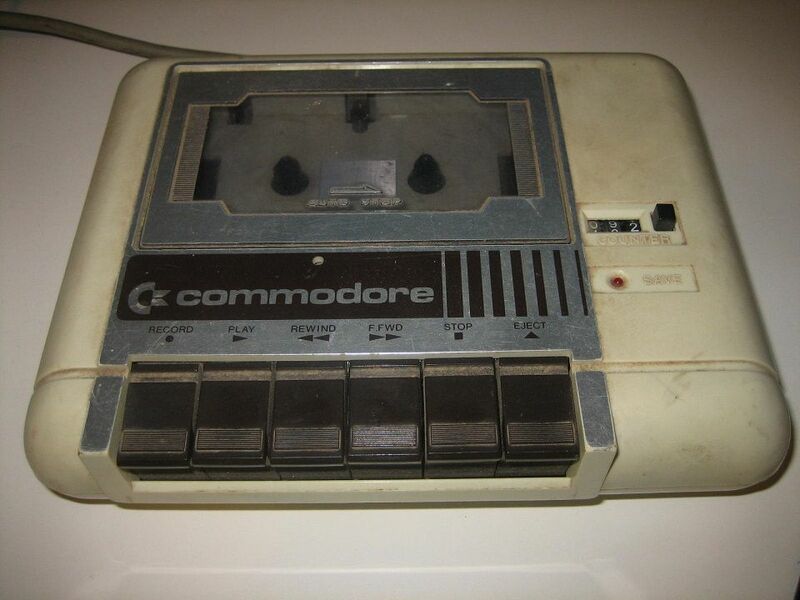 Yes the novelty of loading things from tape is wearing off already, and the game tape I've been playing - The Way of the Exploding Fist - has already started to require a few rewinds per load. It was working perfectly a couple of weeks ago, maybe I left it sitting too close to the CRT. I've been tossing up b/w the SD2IEC and the 1541 Ultimate. The Ultimate costs more but... it's the ultimate, so I'm starting to lean that way.